Sophie Coletta will be DJing in the bar after the Q&A. which has become a lifelong companion. released by Conspiracy International on 8th February 2019. 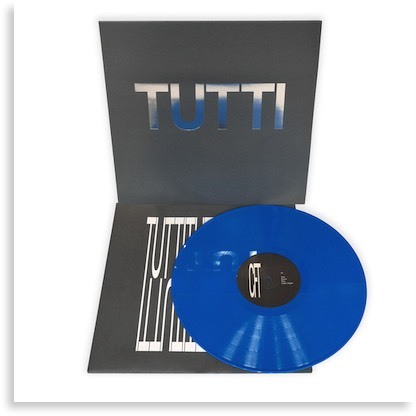 Available on Blue Vinyl or Gatefold CD the physical releases feature silver blockfoil embossed covers and the vinyl release include printed inner sleeve and download code. 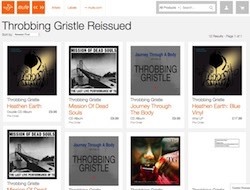 We are pleased to announce the second phase of Throbbing Gristle reissues. while Heathen Earth on blue vinyl and as a 2CD set. 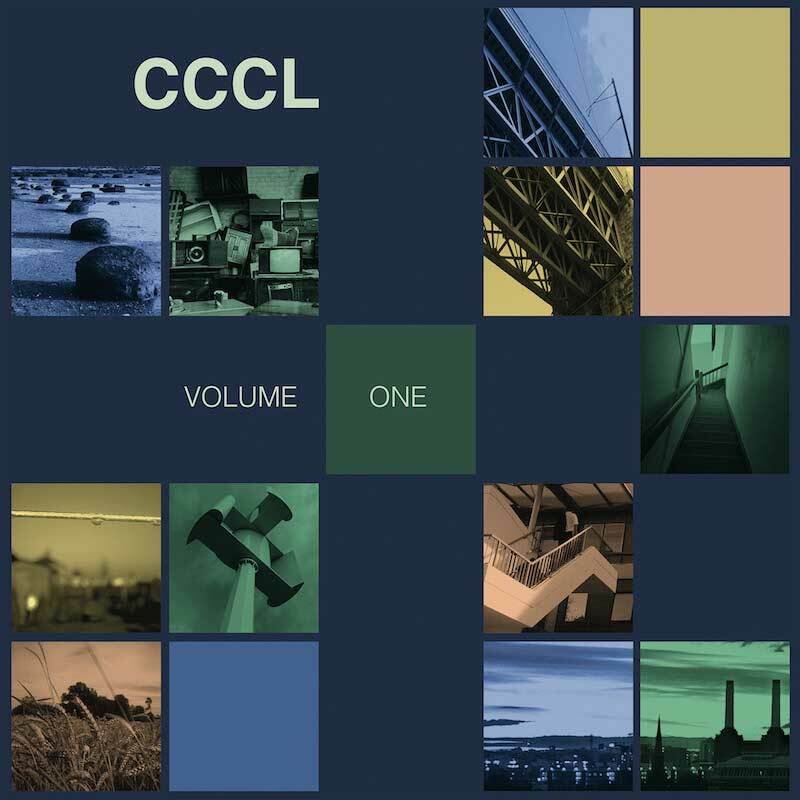 Available as a limited - 1000 - 6-piece vinyl box set with 12-page 12” sized booklet featuring rare and unseen images, synthesiser schematics and ephemera from Chris Carter’s archive. Both Disobedient and Small Moon will be available here for the first time on vinyl. The CD box set will contain 4-CDs and a 24-page booklet. Featuring remixes by Daniel Avery, Radiophonic Workshop & Chris Liebing. 24 JUNE - Hebden Bridge Arts Festival. UK - SOLD OUT! 06 JUNE - Frac île-de-france gallery, Paris, France - SOLD OUT! 03 MAY - Chinwag - Leeds International Festival, UK - SOLD OUT! 19 APRIL - Walthamstow Rock 'n' Roll Book Club. London. UK - SOLD OUT! 19 MARCH - Paperback launch. Faber Social, London. UK - SOLD OUT! 14 JANUARY - In Conversation - Out To Lunch Festival, Belfast, Ireland. SOLD OUT!. Lush talk to Cosey Fanni Tutti about her garden out in rural Norfolk. At Leisure is a series of films produced by Luke Turner, writer and co-founder of The Quietus music website and filmmaker Ethan Reid, in which they explore the hobbies and interests of cult artists, and examine the connections between those activities and their work. 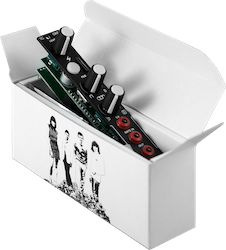 TG ONE is a special edition of the Tiptop Audio ONE module designed to commemorate the 40th anniversary of Throbbing Gristle’s groundbreaking ‘Second Annual Report’. 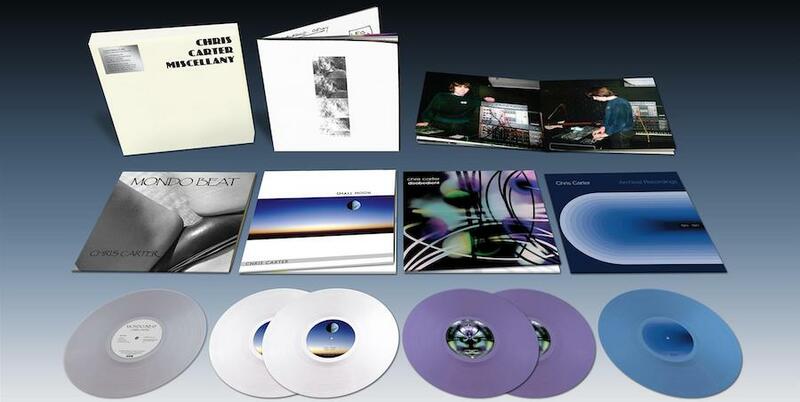 Few bands have staked out such on original space in music that proved not only immediately provocative and illuminating, but filtered into almost every corner of electronic and popular music in the succeeding decades. Collaborating with the band and MUTE records, the Tiptop Audio team tailored the features of the popular ONE to the sound and aesthetic of Throbbing Gristle. Decked out in a TG color scheme of red and white on black, the design incorporates the iconic TG ‘flash’. Even the packaging sports classic cover art from ’20 Jazz Funk Greats’. TG ONE includes two exclusive cards of Throbbing Gristle samples curated by Chris Carter from his archive of the original Throbbing Gristle recording sessions. The files have been further reworked and revised, modified and mangled by Carter to give the user a unique Throbbing Gristle sonic palette to work wonders with while retaining the spirit of the original sources. Card one consists of 128 percussive sounds and audio snippets with the second card featuring 128 longer samples, pads and loops. Tightly coupled with the firmware these cards are only available with the TG module. 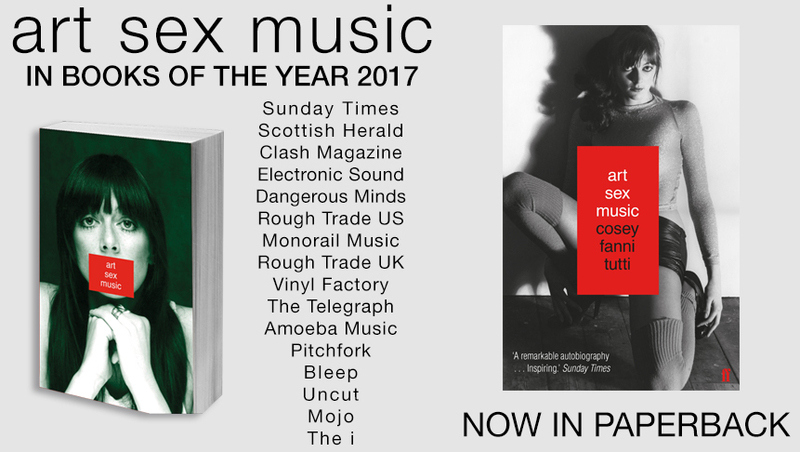 Tiptop Audio would like to thank Paul Taylor, Daniel Miller and all at Mute for their support; and Chris Carter, Cosey Fanni Tutti, Genesis Breyer P-Orridge and the late Peter ‘Sleazy’ Christopherson for their inspiration. Click here for further details, specifications and dealer locations. Chris Carter modular live performance at the Rough Trade East using the forthcoming special edition TG ONE Eurorack Module, created by Tiptop Audio and featuring sound libraries on cards newly created by Chris. now available in Eurorack format! Future Sounds Systems (FSS) announced a new range of Eurorack modules at ModularMeets Leeds in August. Working with Chris Carter of Throbbing Gristle and Roy Gwinn, the original designer of The Gristleizer guitar effects unit, they’ve adapted the circuit and the sound into four Eurorack modules. The latest evolution of the Gristleizer is into Eurorack format working with Future Sound Systems. As well as a single Gristleizer Eurorack panel they have also broken it down into four components. There’s the TG2 Generator, the TG3 Filter and TG4 Modulator and a fourth module, the TG5 Pre-Amplfier, which is inspired by Jonny Reckless’ discrete FET-based designs. The TG1 Gristleizer module brings together the functionality of the Gristleizer range behind one single panel. Normalised connections between the modules allows for simplified patching and instantaneous use. This workflow recalls the original Gristleizer, where audio was fed either into the Filter or VCA sections, both of which being modulated by the LFO. In the TG1, the Master Output from the Pre-Amplifier is normalised to the Input of the Filter. The Output of the Filter is then normalised to the Input of the Modulator, extending the functionality of the original Gristleizer where the Filter and VCA functionality was switched between. The Filter and Modulator sections are controlled by the Fold output of the Generator section, allowing for complex modulation effects to be easily set up. This is designed to replicate the original functionality of the oscillator section, with some interesting additions. Roy Gwinn’s redesign has stabilised the oscillator and features 1V/oct tracking. It can range from LFO frequencies all the way up into the audible range making for “a killer bass oscillator as well as a fully-featured LFO”. NEW SOLO ALBUM, FIRST IN 17 YEARS! VINYL or CD ORDER NOW!